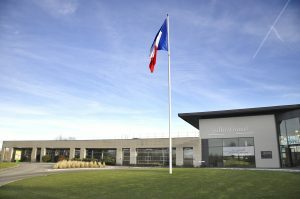 General Manager, Le Golf National – venue of the 2018 Ryder Cup. 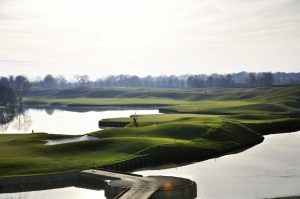 What brought you to Le Golf National and how long have you been here? I got the job at Le Golf National in May 2014, and started in September 2014. When I saw this job come up, I couldn’t let the opportunity pass me by, so I decided to apply for it; it’s the kind of job that comes up once in a blue moon. I’ve been working in France for more than 20 years now, mainly in the golf industry. This role seemed like a natural career progression, and the prospect of being involved in hosting the 2018 Ryder Cup, and the Olympic golf competition in 2024 is very exciting. Biggest challenge you’ve faced during your time here and how did you overcome it? nation, the fact that our customers expect high standards and the fact that we have one of the best golf courses in the world. I needed them to realise that we had to achieve those high standards every single day. What does it mean to Le Golf National and to France to be hosting the Ryder Cup this year? For Le Golf National, it’s an honour and a privilege to be hosting the Ryder Cup. 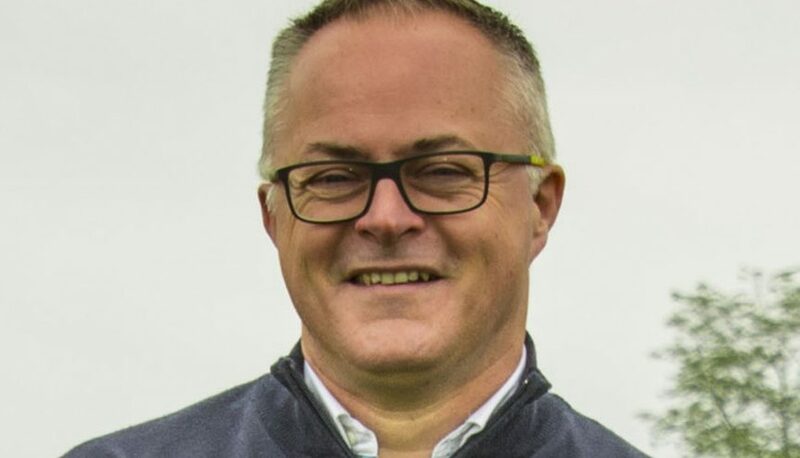 However, without the tenacity of the French Golf Federation throughout the bidding process and all the way now, we couldn’t do it alone, so all credit must go to them. For the country, it is a huge deal. Pascal Grizot, who is the president of the France 2018 Ryder Cup committee did a fantastic job of accomplishing his vision of bringing the Ryder Cup to France and gaining support from the government as well as local support. Pascal made it into a nationwide bid. You can feel the excitement in the media around the event. With the announcement of Tiger Woods as the US team vice-captain, there’s an even bigger buzz, and the enormity of the event really hits home. It’s very exciting, and a huge honour to be involved. What is the best piece of advice you could give to anyone wanting to become a general manager at a golf club? You must love people. It’s not enough to be a passionate golfer, you must have the customer service skills and the ideas and drive to grow the business. It’s important to communicate well with staff, and to motivate them, and it also helps to take time out to speak with customers and ask if they’ve enjoyed their experience. How does your relationship with Jacobsen benefit the club? What is your attitude when it comes to turf maintenance equipment? We have a very long and happy relationship with Jacobsen; we have used the brand at Le Golf National for a very long time. To be able to keep the agreement in place, and develop it even more, throughout the Ryder Cup is a huge bonus for us. The golf course is the most important thing, and if you look at some of the remarks on social networks, the standard of the greens, tees and fairways comes out on top, and is commended time and time again. Without the correct resources, we can’t do that. The turf maintenance equipment is key, and we are very happy with the Jacobsen kit, and so are the greenkeeping team we have here. Can you describe a typical day for a general manager? No. Every day is different. That’s what makes it so much fun. At Le Golf National, we have three different courses, which offer a diverse offering to our customers. In turn, there is a lot of variety and different aspects to my job. With the Ryder Cup, the 2024 Olympic Games, the French Open, Paris Legends, and other events like that, it adds another dimension, so no two days are the same! I love eating, sleeping, drinking red wine, spending time with my family, and cooking! What’s your favourite Ryder Cup moment? The miracle at medina. I got to the golf course early on Sunday morning, slightly depressed about the scores and the task Europe faced. However, there was something about the golf course that morning- it was chilly, windy, and there was nobody there. There weren’t many Americans there, and everybody was supporting Europe. To experience that day at Medina and see that European team turn things around and win the Ryder Cup was amazing. I wanted to be a golf TV camera man! My dad is my role model. He’s a very honest and hardworking man and has been a great source of advice throughout my career. Not everyone’s favourite, but Nick Faldo. Le Golf National! Where else would you want to be?! Cook. It takes so much time to do it well! Singing. It’s hidden because I don’t sing often, but put me in front of a karaoke machine, and I’ll sing all night. Working in a hospital and seeing sick people- I would be awful at that. I’d love to learn to play a musical instrument; either the piano or even to be able to read music. One thing you do to motivate yourself? Think about bananas. When I used to play bad golf, I was introduced to Sophrology, which is the idea that when things aren’t going your way, you should think of something that makes you feel happy… so I think about bananas!